Novelists, journalists and corporate communicators have this in common: We all want readers to read our writing. An effective headline sets the stage, but how we open the story or article invites readers in, or sends them scurrying for the door. “News writers have been trained to decide what in the story they most want readers to know,” says Don Ranly, professor emeritus of the Missouri School of Journalism. 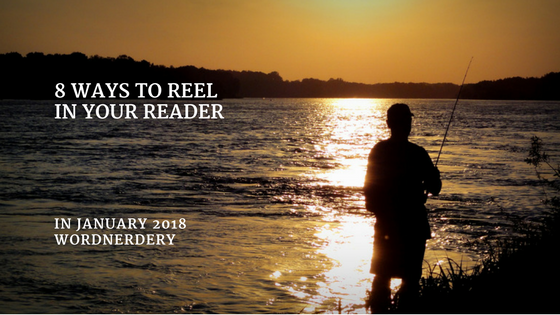 “Now you must decide what is most likely to interest the readers.” What will catch the attention of your readers? Start there. “Find a beginning that appeals to the senses, a detail readers can see, hear or smell,” says Roy Peter Clark, writer, editor and writing teacher. Startling statistics can make a great lead, says writing coach Ann Wylie. Go easy, though; “When writing with numbers, limit yourself to three numbers per paragraph,” she says. “The who, what, when, where and why are important, yes, but only to get to the most important question, the so what?” says Don Ranly. Ann Wylie suggests this formula: X (users) who have struggled with Y (problem) will now be able to Z (benefit), thanks to A (product or service). “Whenever possible, raise the curtain on a human actor and human action, not a juiceless stage setting,” says the Associated Press Guide to Newswriting. “Unless [the] story jumps out and grabs the reader by the throat within the first three seconds, pulling that reader into the story, then all the effort the writer has put into crafting the story is for naught.” Says Stephen G. Bloom, professor of Journalism at the University of Iowa. “It” doesn’t do it. “I always know where I intend to end before I have much begun to write,” says John McPhee, a Pulitzer Prize-winning American writer considered one of the pioneers of creative nonfiction. Have your ending echo the lead. What other advice would you give for writing an effective opening? Do you have some terrific examples? Please share in the comments. 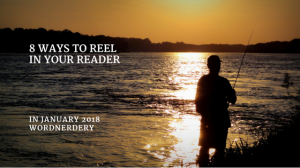 This post first appeared in my newsletter, Wordnerdery, which is a quick read about words, effective/expressive writing, newsletters and more. Are you a subscriber yet? If yes, thanks for reading! If not, you can sign up right now. In keeping with Canadian and U.S. anti-spam laws, you can easily unsubscribe any time.